Research indicates that the early years are crucial to laying the foundation for children’s life success. From classes for parents of newborns to workshops on early infant brain development, our programs help new and experienced parents and caregivers prepare their children for a successful future. For more information, please contact FamilyEducation@arizonaschildren.org. Support for our Family Education & Support Services is provided by a grant from First Things First. 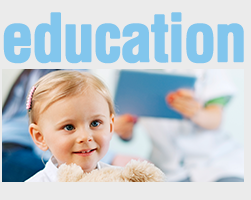 Arizona’s Children Association’s Family Education & Support Services are a unique family resource dedicated to providing parents and caregivers with training and tools to promote the optimal development of every child from birth to adolescence. Our programs incorporate best practice and/or evidence-based opportunities for parents and children to learn and grow together. We offer all parents and caregivers information and support to increase their knowledge of child development and age appropriate behaviors, positive parenting skills and strategies, and the opportunity to build a network of parenting support. All families, grandparents, childcare providers, and others are welcome to attend. All program services are voluntary, non-clinical, individualized, and focused on the expressed needs of the families in attendance. Classes and workshops are provided in English and Spanish and are conducted in community-friendly locations. Our Parents as Teachers program is an internationally recognized, strengths based and evidence-based parenting education and support program. 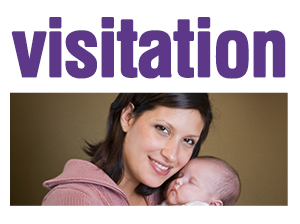 Parents as Teachers is a home visitation program designed to help new and experienced parents from pregnancy until their child enters kindergarten. Research indicates that the early years are crucial to laying the foundation for children’s life successes. We believe that parents are their children’s first and most influential teachers. •Personalized Home Visits—Our Parent Educators provide age-appropriate child development information, support a safe and healthy environment, establish and assess measurable goals, and facilitate interaction between parents and children as a positive parenting teaching tool. •Group Connections—We provide opportunities for families to connect with other parents, gain support, share information, and allow children to interact and socialize with their peers. •Screenings—We screen for early identification of developmental delays, health, vision and hearing problems. These screenings also include Family Strengths Assessments and Goal Planning. •Networking—Our Parent Educators help families identify and connect with needed resources to ensure that families receive comprehensive services.